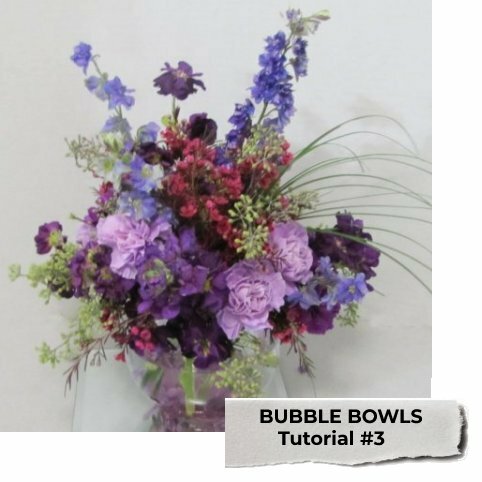 Pour water into bowl and add Crystal Clear flower food. Dry edge of vase thoroughly. Grid your bubble bowl with the clear tape. Remove all leaves of any stems below the water line. 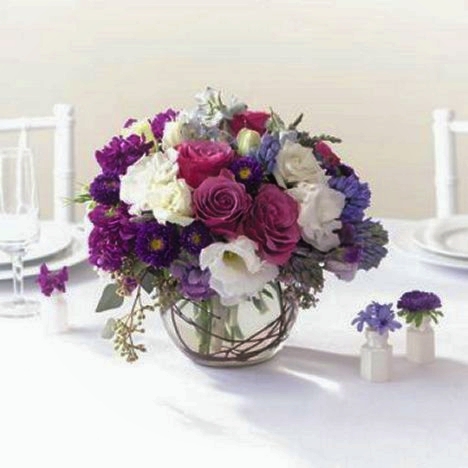 Insert your flowers into the grid. 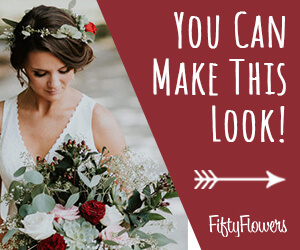 Need more detailed instructions than this flower recipe provides? 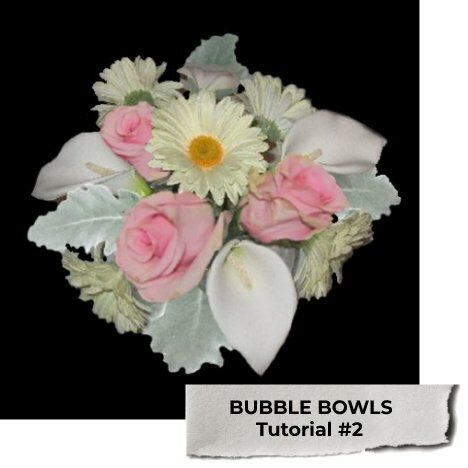 Check out my step by step photo tutorials for designing bubble bowls.